Espectacular hues of turquoise and colorful rainbows are the norm at Diamond Head. Diamond Head, located on the Southern tip of Oahu, offers a unique location for your dream Hawaiian home. With the perks of the verdant mountain range to the Northeast and the turquoise ocean water to the South, Diamond Head’s ideal positioning allows for the perfect recluse and high-end location for your home. Roughly 650 homes are exclusively located in Diamond Head, allowing for a more private and luxurious setting. The average listing price for luxurious Diamond Head homes is $2.6 million. However, the listings for these coveted estates range from $2.1 million to $14 million. Elites from all over the world vacation in Diamond Head; renting out large estates, enjoying the private and high-end scene, while relaxing this beautiful paradise. 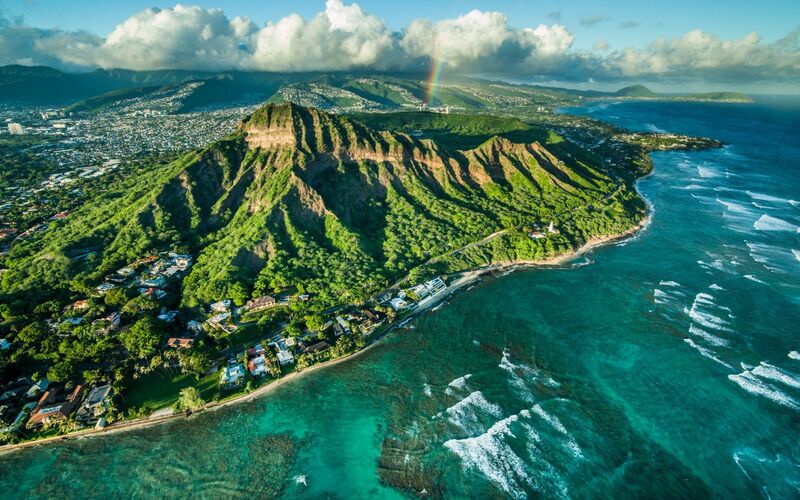 Diamond Head’s blue waters are part of the main attraction, however mother nature’s presence truly adds to the magical essence that is Diamond Head. There is so much to love about this lovely region on O’ahu. For one, the iconic Diamond Head State Monument is centrally located around this neighborhood. The proximity of these luxury estate homes to this quintessential monument is an incredible feat, hard to surpass by other areas of Oahu. Imagine, waking up to the sound of the vivacious waves on shore, and the salty cool breeze coming in through your floor to ceiling windows, and being able to casually stroll over to the grand Diamond Head Monument for a scenic and powerful hike. 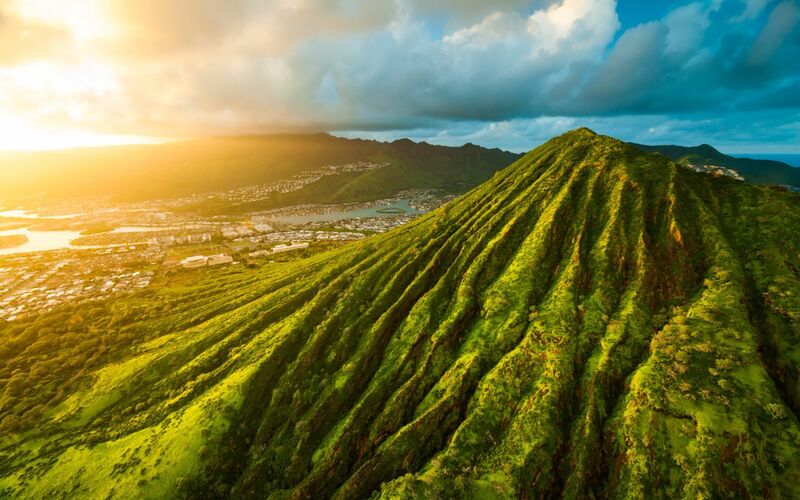 As one of Oahu’s most famous landmark, this 760-foot crater offers 360 degree views from the top. 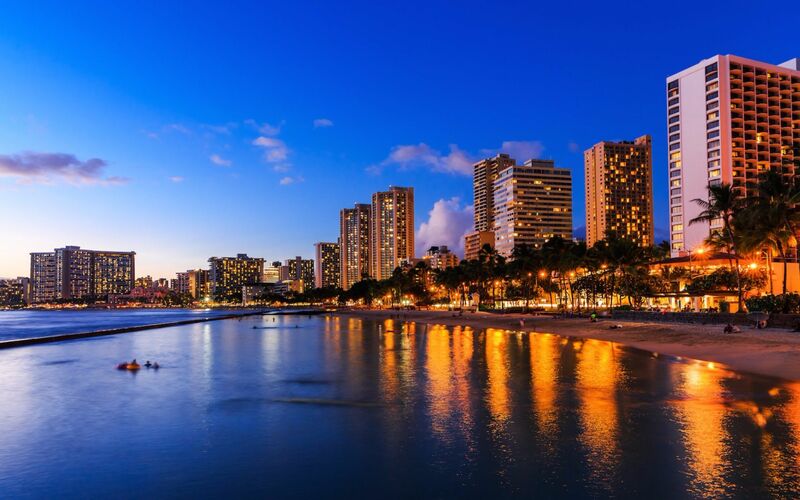 Atop the crater, the scenic panoramic views of Waikiki and the South Shore are unlike any other. Diamond Head offers a unique and luxurious lifestyle, which is why it is rare to see one of their oceanfront luxury estates on the market. However, if one of the few oceanfront estates do come on the market, don’t expect it to be listed for long. All of us at Anne Hogan Perry's Team want to help you find your ideal home that matches your lifestyle. Contact the premier Hawaiian real estate agent Anne Hogan Perry for more information about Diamond Head estates or to schedule a private showing of the most exclusive luxury homes available in Oahu.